This elegant and inspirational Wedding Guest Book welcomes your guests to become part of your keepsake log of the special day. 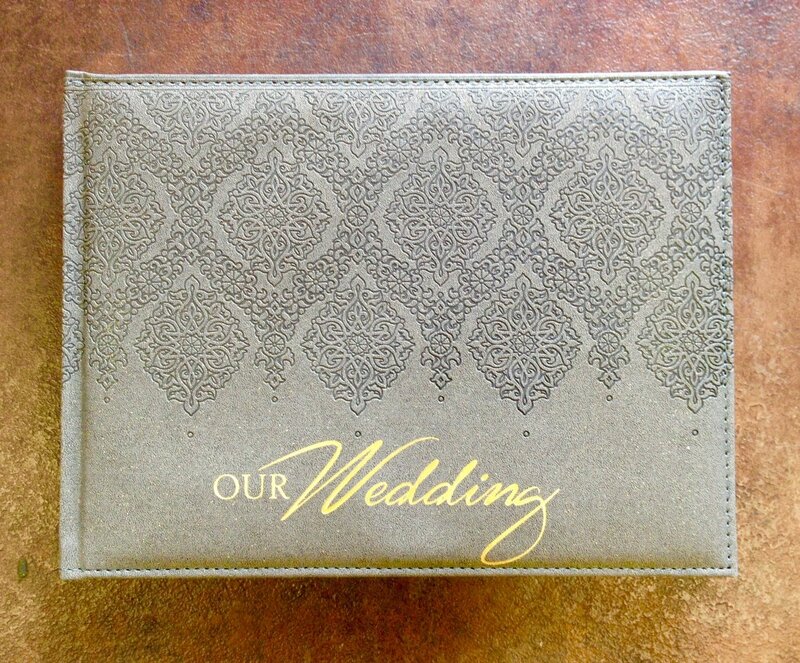 The cover is a silky, glimmering silver with an embossed filigree design and gold foil text. Interspersed among the register pages are lovely, graphically designed pages with Scripture, encouraging attendees to scribe their blessings and special thoughts to the couple.